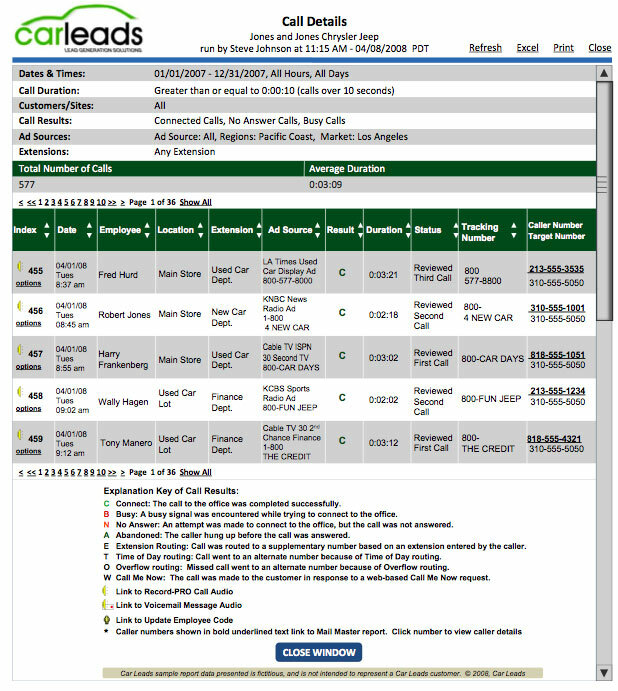 The Call Detail shows individual calls, name of employee who handled the call, date, time, length of call, ad source, where the tracking number rings, and the caller’s telephone number. On the right, double click the caller’s telephone number (in bold), to see the callers name, address, and demographic data. On the left, double-click the speaker to listen to the entire call. Double-click the Options, to make notes about that specific call.